This is the time to tune your music on YouTube because it is the trendiest one to explore one’s calibre. Everyone has a mania to shake on YouTube with their stubborn talent, and YouTube has become the target to reach the audience especially for Musicians. YouTube provides essential things through YouTube For Musicians. Most of the musicians have broken the walls of music history with their creative music on YouTube. If you want to hold such fame on your account or if you stuck with the issues raised at your YouTube channel then here are the best ways to direct you in a safe road of your journey. How to Promote a Music Video on YouTube? Most of the top musicians are known to the public only through YouTube. Since then each is passionate to compose music YouTube, and the hidden talent is blown on it with the huge fan following. Through this, they boost up the financial status which helps either personally or professionally for the development of the channel. Before all this happens, a musician should know all the tips and strategies that help in sketching the fabulous YouTube music channel. Use the unique and eye-catching thumbnails for the music videos you make. Generate the extraordinary title for your videos that are being as the trending in the public. Always provide the button of call-to-action which shows the huge impact on clutching audience. Make the availability of YouTube annotations like comments and views. Reply to the comments made by the fans or subscribers. Pass the subtitles for each video through which the unknown language viewers can understand easily. Create the playlists through which the audience can spend some more time on your channel. Add the multiple video links for a particular video you upload so that the viewers might visit them. Release your music albums at the time of audience being online on all social media sites including YouTube. The first thing you should remember is picking the social media platforms like Facebook, Snapchat, Instagram, Pinterest and Twitter to post your music video links and these have a huge community of audience through friends. This type of promotion will make your video go viral along with the YouTube channel. Collaborate with other popular YouTube musicians to involve at your albums which help to gain unexpected audience including their viewers. Always be active at other channels by liking their video content and making comments. When you find time just launch the music concert at the public places which really grabs the attention of the audience. Prefer the short form of video content which should not be the bug of eating viewer’s time. Compose the astounding cover songs which could be the primary source at your channel. Maintain consistency while uploading the videos on your YouTube channel. Exalt the channel by relishing with the fans. YouTube has been able to prove that it is the topmost platform offering content on varying subjects. The popularity of this channel can’t be ignored if anyone is interested in cash on the same. YouTube is far ahead than Facebook in the teens segment. While social media like Tweeter, Facebook, Snapchat are available for marketing, there is a single platform to promote music, i.e., YouTube. This popular channel is carrying a record of ‘showing 3 billion hours of video every month’. This statement amply describes the importance of YouTube for the promotion of your content – music especially. YouTube For Musicians will add weight to the music created and once the music uploaded the creator will have lot more followers and fans. However, to be able to be a successful musician on YouTube, the creator is required to follow certain dos and don’ts. • Create own videos for songs. • Appreciate competition by posting videos to other similar popular videos. • Own your own channel and keep the channel active. • Keep constantly updating the channel. • Respond to the views/comments appropriately. • Give the best thumbnail for your music as ‘first impression is the best impression’. • Give an apt title for your video. • Keep in touch with the audience for your music on YouTube. • Never buy ‘fake’ reviews/views/subscribers. It is a shortcut that leads nowhere. • Never worry about negative comments from viewers. You need to take lessons from criticism. • Never encourage SPAM! The whole net world is worried about SPAM and it will lead the creator nowhere. • Never select the wrong time of publishing the music on YouTube. The creator must necessarily follow all terms and conditions prescribed by YouTube to ensure that he is a successful musician on this popular channel YouTube. This is the only name that is being as the skyscraper in the world of music and he has the myriad fans though they are not the music lovers. That much crazy he has created through his musical hits on YouTube. He is the only musician who had a net worth of $200 million. I don’t have words to define him but in simple words, he is marvelous in delivering the extraordinary songs with on his own signature of dancing. He made the income of $23 million at the age of 18. She has broken the hearts of the audience with an amazing song ‘call me maybe’ having 968,043,908+ views. This has been retweeted by Justin by passing appraising comments on this song. This shows how the song has been born from the words of Jepsen. When you have acquired the position of YouTube partnering program then you can make revenue through your cover song. When the YouTube notifies you that your cover song is eligible for revenue in the monetization tab then you can choose to monetize that video. The YouTube video manager will help you to find the eligible cover songs from the previous one to present one. The videos that have accompanied of content ID which has been assigned when the publisher acquires the copyrights on those videos. A live musical concert, Karaoke or instrumental recordings are not eligible for revenue share. 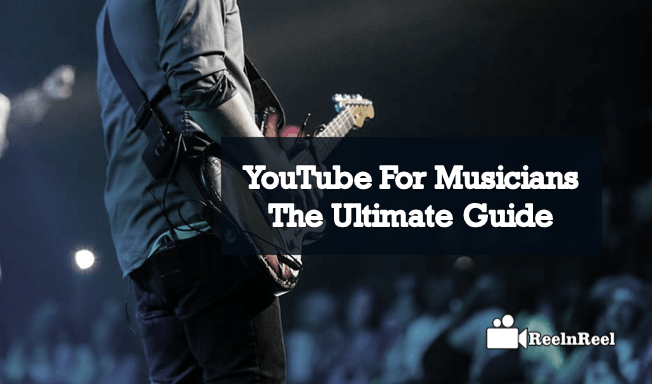 This article will provide you the best strategies that are required to boost up the YouTube channel as the successful musician that no one can beat forever. If you want to get such reputation just follow all these steps.